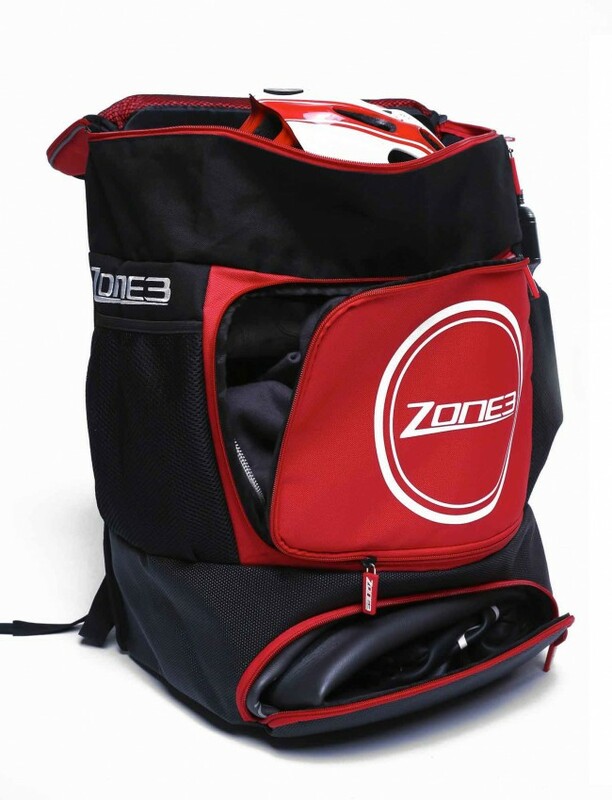 The Zone3 Transition bag does everything you need without over complicating things. 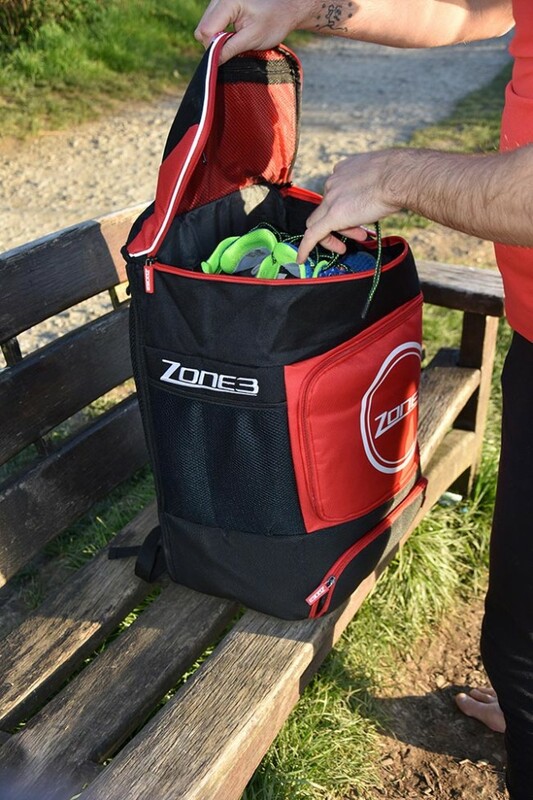 The bag measures 55cm x 35cm x 23cm which gives plenty of space for all of your kit including wetsuit, shoes, helmet, clothing and accessories. 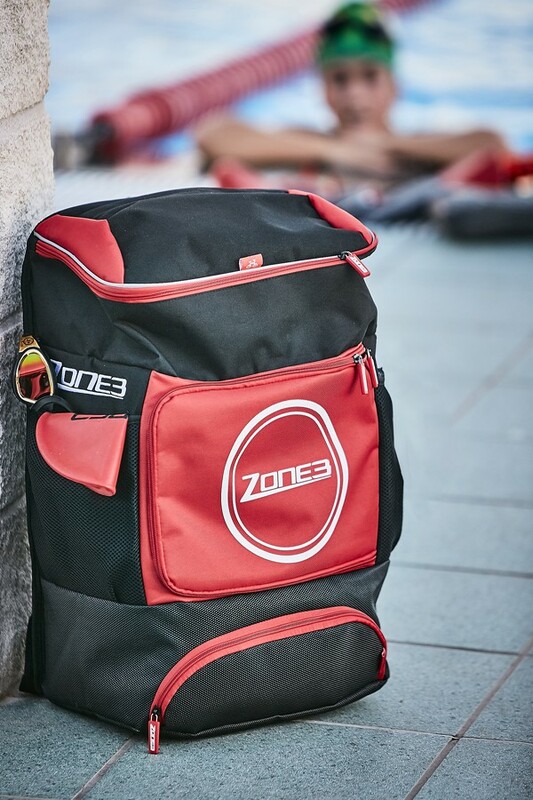 Not too big and not too small, we hope this is the perfect size transition backpack which is lightweight, functional and comfortable. 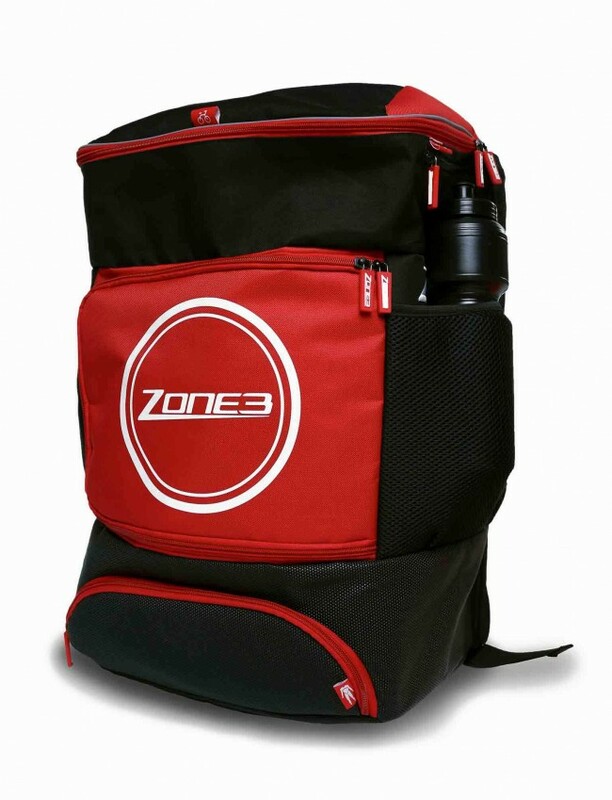 The base is made from a very durable and 100% waterproof PU coated fabric so perfect for wet items or shoes. 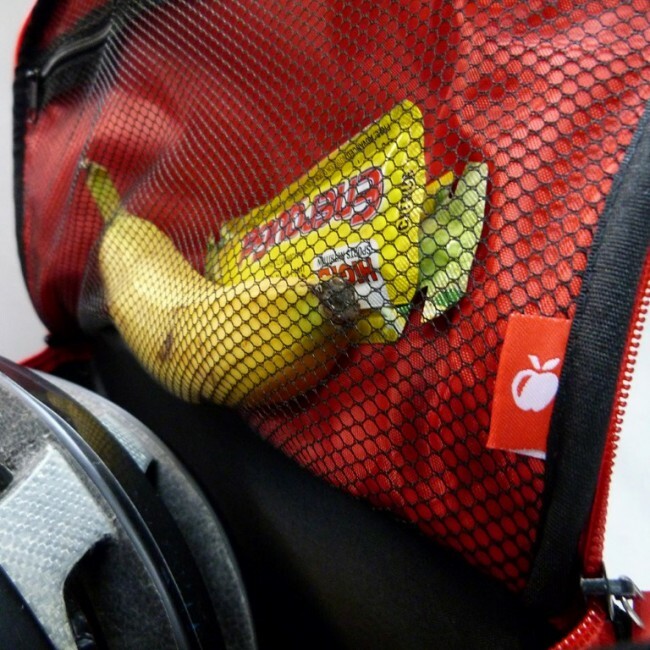 The mesh pockets on the side are great for water bottles, goggles or other accessories. The outer buckle can be used to latch your bike helmet on to when not riding. 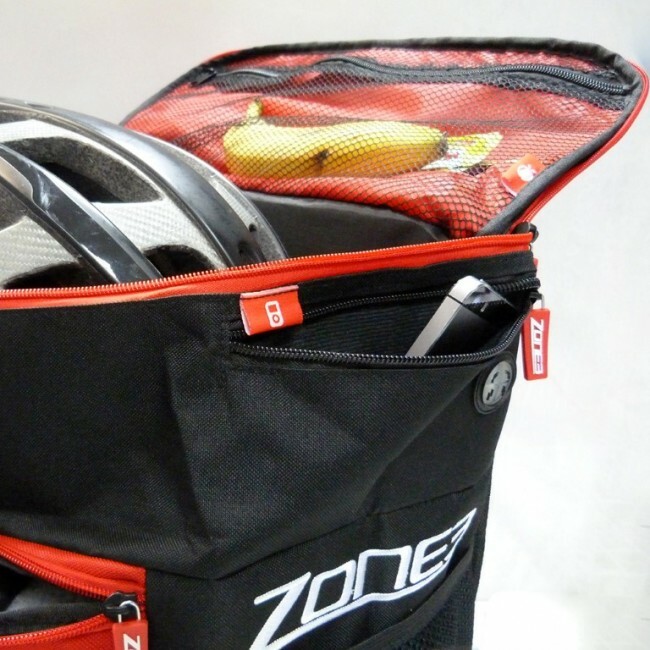 Larger aero helmets will fit in the main compartment. 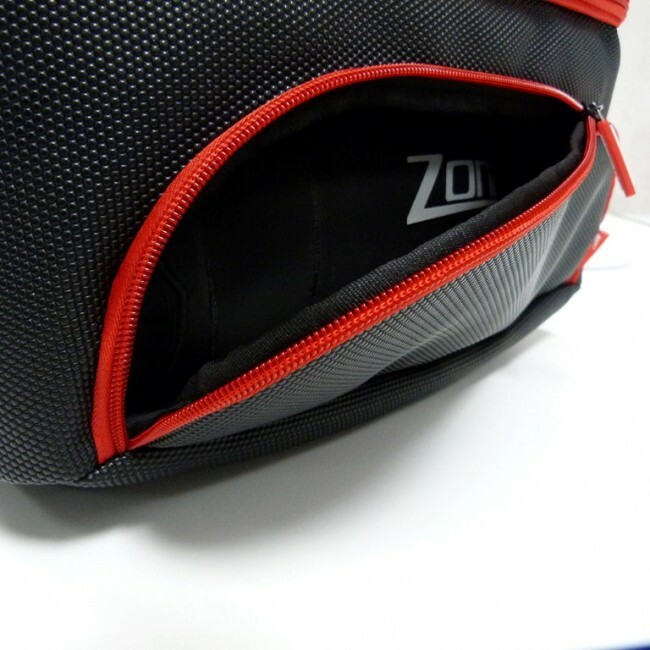 There are three smaller zipped pockets, one on the front, one on the top and a mesh pocket on the inside which measures 20cm x 20cm. 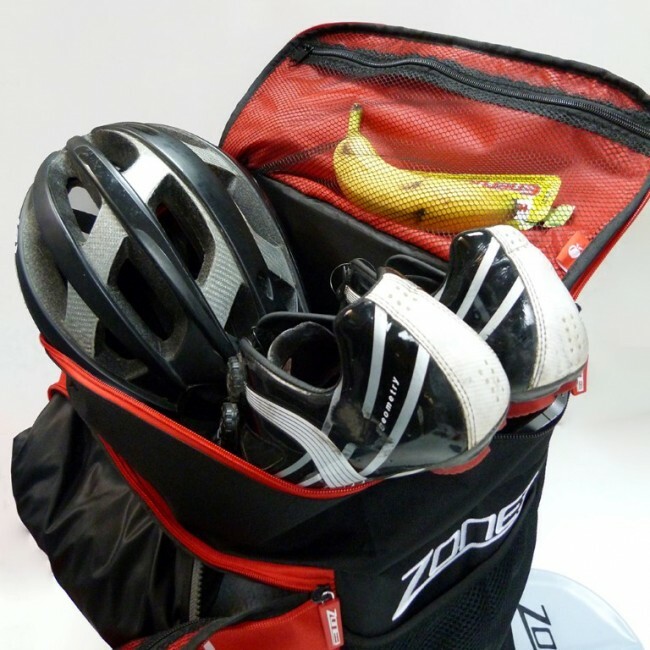 Ideal for keeping race information, keys, nutrition, sunglasses etc. The main compartment then allows plenty of space for all other items. 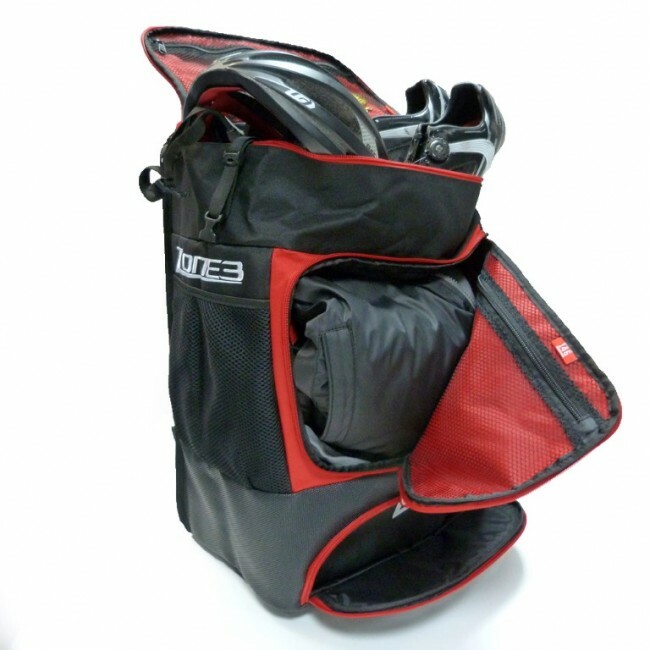 The backpack is designed for running or cycling with and has side and chest adjustable buckles to keep the bag in place. There are also extremely well padded back and hip mesh panels for comfort and breathability. 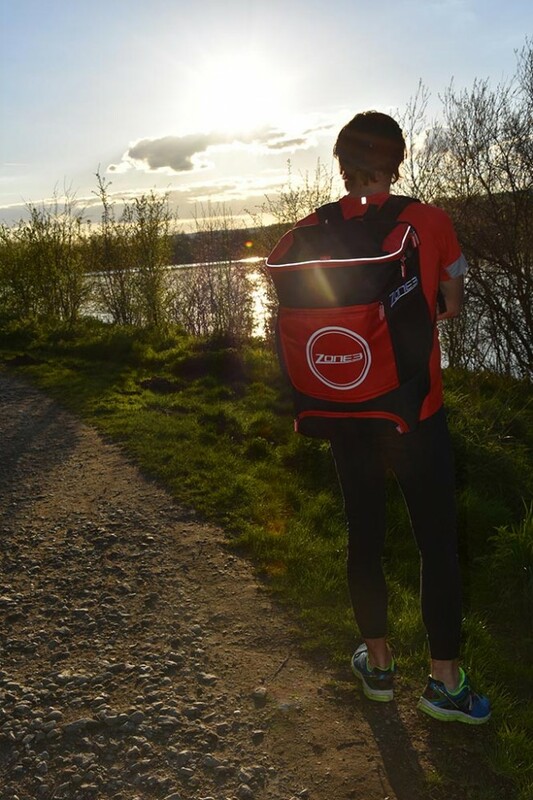 All in all this is a fantastic value transition backpack which allows you to travel to domestic and overseas races with ease.